Home / Community / Have you seen this cat? Have you seen this cat? 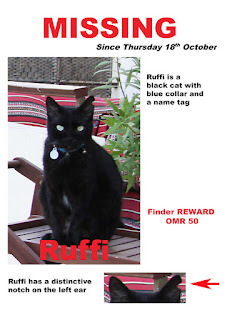 Someone has lost their cat called Ruffi in Shattie this weekend. Perhaps you can help them find it? If you find the cat, or see it, get in touch with the owners by clicking here.